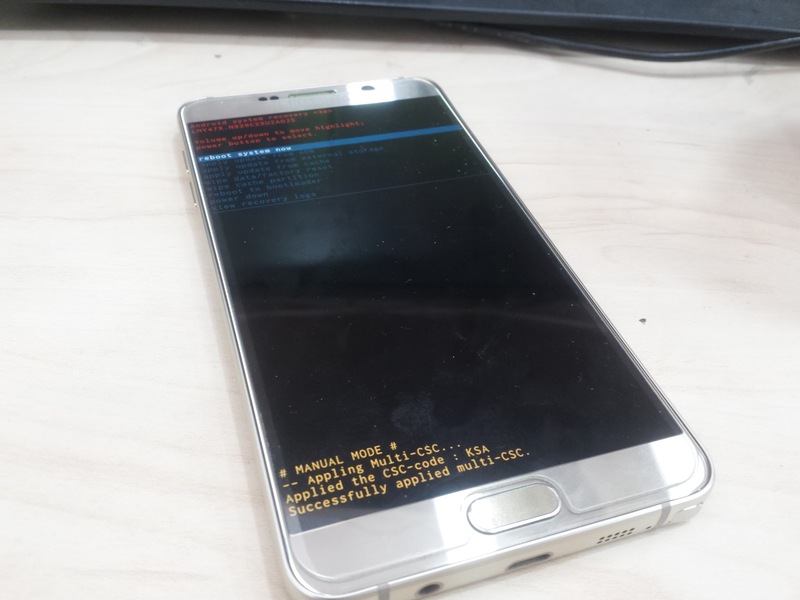 If your Samsung Note 5 has a software problem, such as you bricked it due to failure rooting procedure then this post of mine may help you to find the solution. Basically, I don't own a Note 5 'cause for good reason—I can't afford it yet for now. However, a friend came to me asking for help because his Samsung Note 5 keeps on rebooting. Well, for at least he can use it normally but when making calls approximately 2 minutes the device restart automatically. I check the kernel it was already in custom probably someone tried to make rooting or replacing the default recovery. So here is the procedure you need to follow to successfully flash your Samsung Note 5. First, have your PC and USB cable ready. If your using a laptop better to plug it to the power surge. Download files needed for the flashing. Check the links inside the source box below. Extract those compressed files to its corresponding folders using WinRAR or similar programs. Make sure that the battery has a good charged, at least 80-100 percent. Turn off the device wait for maybe 10 seconds after it was fully powered down. Then, put it on the Download Mode (download mode is sometimes known as Odin3 Mode) by press and holding Volume Down button and Home button. Press the Power button, when the screen turns on keep holding the Volume Down button and the Home button. The Download Mode notification should come up and will ask you to continue. Press Volume Up button to continue. Now, that the Samsung Note 5 is on the Download Mode. Plug the device on your computer using the USB cable. Open the Odin3_v3.10.6 folder and run the Odin3_v3.10.6.exe. The ID:COM box will show you where COM port the device is connected. This also a confirmation that your Samsung Note 5 is successfully detected. As you can see there are boxes below. Hit the box named "AP" and locate the desired firmware. In my case I have chose the "N920CXXU1AOH4_N920COJP1AOH2_N920CXXU1AOH2_HOME.tar.md5". On the Odin3 buttons below hit the "Start" button. This will now starts the flashing procedure. All you need to do is wait until it's completed. Once the flashing is complete, Odin3 will display a word "RESET" then to "PASSED". This means that the flashing is completed your device will automatically reboots. You can now remove it from the USB cable and continue the activation. Before you making this flashing on your phone. Please read the entire article, beware that I don't take responsibility for anything crazy may occurred on the device. Do it with you own risk. Back up your important data. Take note that the Samsung Note 5 don't have external SD support. Once flashing has made, a great possibility that all those data will be deleted. My firmware restoration procedure was based on Samsung Galaxy Note 5 N920C if incase you have other Note 5 variants just do the same way by downloading corresponding firmwares. If your device stuck on the boot loop, Samsung Logo only. I highly suggest to do a hard reset. 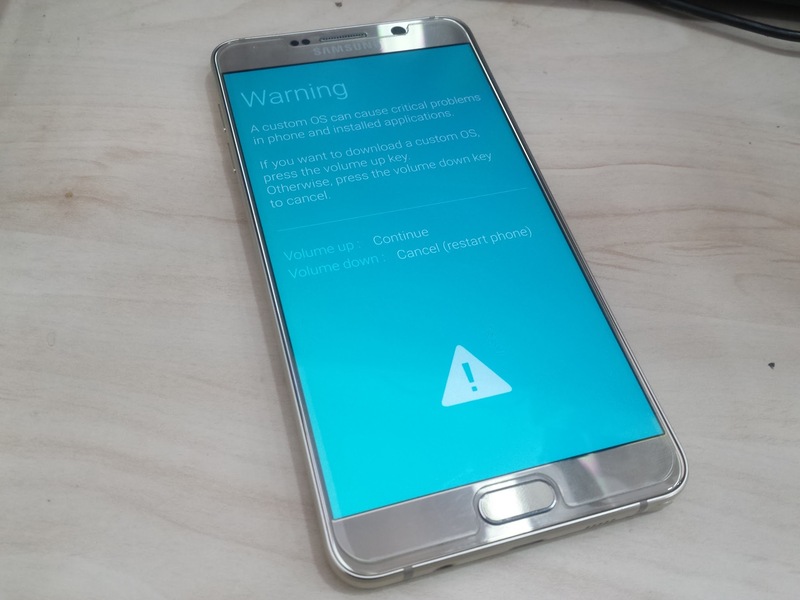 To hard reset your Samsung Note 5, power it off first. Then, press the Volume Up button, Home button and Power button. When the screen is on release the Power button but keep holding the buttons of Volume Up and Home. Recovery boot soon display. Use the Volume buttons to navigate the menus and confirm by pressing Power button. Do the Wipe Factory settings and Wipe cache. After that reboot the phone. This article somehow covers the entire procedure. If your are having hard time about the methods I posted I guess the video I made on How to Flash Samsung Note 5 could help. Please watch it on my Youtube. Get the firmware for Samsung Galaxy Note 5 N920C here. Download the Odin3_v3.10.6 I used on the flashing here. Thank you for reading Flashing Tutorial for Firmware Update Samsung Galaxy Note 5 posted on the website Kwentology if you want to redistribute this article please include the link as the source. Have some kuwento to share? Contact us!